This book builds on concepts first covered in a paper I co-wrote with Kuei-Pao Chen and Wen-Yen Chang (Chang, W.Y., Chen, K.P., Tsai Y.B., (2017) Alternative representation of the Gutenberg-Richter relation in terms of the logarithmic mean annual seismicity rate and its standard deviation, Natural Hazards, 85: 1297-1322). Kuei-Pao Chen and I worked together for many years, and I especially enjoyed our close collaboration on this paper. After the publication of the paper, I began to develop the forecasting methodology described in this book by (1) inverting the alternative G-R relation to obtain a corresponding relation for the logarithmic mean return interval and its standard deviation and (2) using the origin time of the most recent earthquake with a given magnitude, as of a chosen date, to start the cumulative probability curve for that magnitude. These two key transformations allow us to determine the probability of earthquakes with that magnitude at any time after the chosen date. 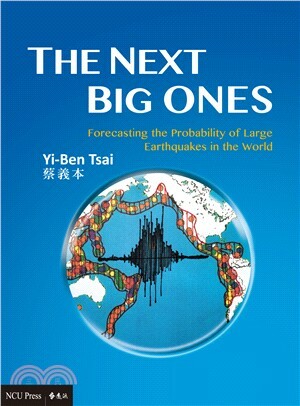 It has taken around 18 months to collect the raw data used in this book and to calculate the earthquake probability of 50 regions worldwide. As my health has declined steadily in the last few months, and I realized that I was running out of time to finish the book, I turned to the help of my family: my daughter Virginia (a lawyer), my son Y.K. (a doctor), and my daughter-in-law Carrie (another lawyer) helped the preparation of figure captions and editing, my niece Helen and my son-in-law Jay (both MBA’s) helped with the charts and tables, my brother-in-law Sunny helped with computer troubleshooting, and my granddaughter Georgia designed the cover art. My wife Jen kept us all on task in her role as “General Manager”! In the end, this book became a true family project. I am forever grateful for the love and support (not to mention labor!) of my family, which has allowed me to complete this book. For me, this book is the final culmination of the 50+ years I have devoted to studying and teaching geophysics and seismology for the purpose of planning for, and mitigating the effects of, earthquakes. I hope that those after me will find the methodology in this book to be helpful in limiting the death and destruction caused by earthquakes of catastrophic magnitude.